Dude, Where Are Our Cars? As car theft investigations are reduced, Spokane's car theft total nearly tops the nation. Karissa Mielke shows off 'The Club,' which she now uses after her car was stolen - twice. Karissa Mielke thought her car was safe in the parking lot of her lower South Hill apartment. The gray Honda was nearly 15 years old, surrounded by much nicer cars and was parked far away from the street. But when she walked out of her apartment, the day before her 21st birthday in February 2010, the car was gone. It was stolen, but soon retrieved by police. Four weeks later, her car was stolen again. From the same parking space. Mielke’s car only made up two of the 2,763 vehicle thefts in Spokane County last year. According to data released last week by the National Insurance Crime Bureau, Spokane County ranks fourth in the country for stolen cars. That’s 14 spots higher than last year, six times the theft rate in the Coeur d’Alene area, and over seven times that of the Boise region. Yet this year, Spokane has fewer resources to investigate the problem, adding even more frustration to the thousands of local people who have a car stolen every year. Every morning, Cliff Grout, the owner of Cliff’s Quality Auto, checks his auto lot in Hillyard to see if anything had been swiped the night before. He loses about 10 cars a year to theft, he says. Sometimes they’re stolen from the lot itself, other times thieves take cars on test drives and never return. More often, they just steal parts. Last Sunday, his morning inspection turned up seven vehicles with batteries stolen. One time, they even stole his surveillance cameras. There are signs of improvement. Spokane’s numbers are bad — but they’re actually lower than in 2006, when Spokane ranked 17th in the nation. It’s just that car theft rates nationwide have decreased much faster than in Spokane. One possible reason for this overall decline is newer cars have better security systems. Some thieves have filed keys down to easily turn the lock and ignition of certain older cars. For the first half of this year, car thefts in Spokane were down 17 percent over the same period last year, according to Jen DeRuwe, a Spokane Police spokeswoman. She credits longer sentences for repeat offenders. But victims shouldn’t expect much actual investigation from police when their cars are stolen. DeRuwe explains that starting this July the Property Crimes Investigations Unit is being disbanded for budgetary reasons. Spokane Police will still receive its annual $160,000 grant from Washington Auto Theft Prevention Authority. Other agencies have seen similar cutbacks: Last year, the Spokane County sheriff’s units investigating property crimes and drug crimes were merged. “Everything that law enforcement does is prioritized,” says sheriff’s Sgt. Dave Reagan. “Crimes against persons are always the top priority.” The sheriff is mandated by law to investigate domestic violence complaints, but not car thefts. 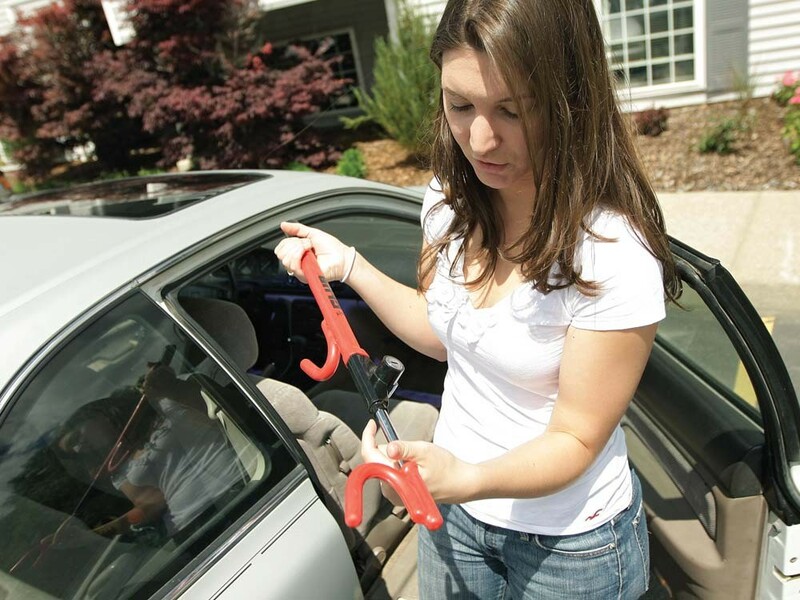 Last year, the Washington State Patrol Auto Theft Section made 117 arrests statewide. The unit didn’t just go after individual car thieves — it busted the chop shops behind them. But now, that unit, too, is being eliminated due to budget constraints. Calkins, the WSP spokesman, doesn’t want to be portrayed as whining about budget cuts. But he does believe losing the unit will have consequences. “Clearly, this provides more opportunity for thieves,” Calkins says. Ted Means, a film major at Eastern Washington University, had his ‘91 Mazda stolen early last year, but police wouldn’t track the Verizon smartphone he had left in the car. They refused, he says, claiming they only track phones in life or death situations. Verizon only tracks phones in cases where there’s an imminent threat to life or property, a company spokesman explains. Otherwise, the company needs a warrant. The good news: When a car is stolen in Spokane, it’s not stolen for long. PEMCO Insurance Spokesman Jon Osterberg says that over 90 percent of the cars stolen from PEMCO customers are recovered. The bad news is they’re often missing important components, as many car theft victims can testify. “Six weeks later, I got my car back,” Means says. The second time Mielke had her car stolen, cops found it only a few hours later, jacked up on the railroad tracks, cigarette burn on the seat, stereo ripped out, car jack gone, and wheels missing. Worse, victims face a further indignity to what should be a happy ending. The Sheriff’s Office has a policy: When a victim’s car is recovered, they have to respond within 30 minutes; otherwise, they have to pay for their car to be towed and impounded. Means didn’t have his phone when police called. The towing and impound bill came to $200.